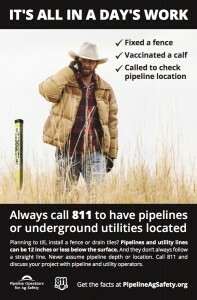 POAS helps protect those who farm and ranch near underground utilities and pipelines by promoting safe work procedures and encouraging ongoing dialog with pipeline and utility operators. 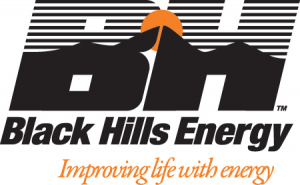 The Partnership’s strategy includes creation of safety focused content that is distributed to farmers and ranchers nationwide through trusted relationship and influential brands. 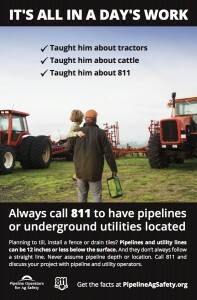 Examples include Ag co-ops, media partnerships and Safety Ambassadors. POAS executes national TV and radio PSA campaigns focus on target DMAs/markets identified by members as focus areas. 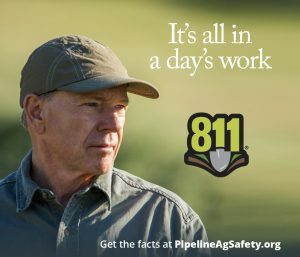 We have established successful partnerships with the Peterson Farm Brothers and JJ Harrison widely known as the 811 rodeo clown. POAS TV ads have run in all target markets and are picked up/run on average over 1,000 times each week including pick up by RFD-TV, local stations affiliated with national networks and Fox Business News. POAS TV and radio ads have resulted in tens of millions of impressions in ag/ranch communities since launching in 2015. 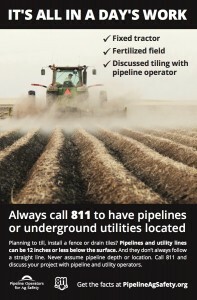 Contact us to learn more about how you can support ag safety through through the Pipeline Operators Safety Partnership.